Licensed Vocational Nurse or LVN provides basic bedside care to the patients. They are directed by the physicians or registered nurses and have to work accordingly. They are known with this title in Texas and California, while in all other states of the U.S., they are known as Licensed Practical Nurse (LPN). For this job, it is essential for a candidate to complete a formal vocational nursing program, thus, it takes about 1 to 2 years to become an LVN. Qualities that a licensed vocational nurse must possess are – excellent communication skills, compassion for the patients and their families, good interpersonal skills, flexible working, quick decision-making, problem-solving skills, etc. If you are an aspirant for this profession and want to get the basic information about its eligibility criteria, salary, career outlook, etc., go through this article. LVN (Licensed Vocational Nurse) and LPN (Licensed Practical Nurse) are basically two titles for the same job. Both work under registered nurses. The term LPN is used all over the U.S., except California and Texas where they are addressed with the term LVN. You must be at least 17 years old at the time of application. Completion of 12th grade of schooling or its equivalent. Must complete a program program. Examining and recording the changes in the clinical conditions of the patients. Taking specimens like blood, urine, sputum, etc. Administering the oral and intravenous medications. Feeding the patients through a nasogastric or a gastrostomy tube. At the time of emergency, they perform CPR. The very first step for the candidates who want to become an LVN is to opt the credential they want to engage in. The shortest way to achieve the title is diploma or certificate, but they can’t be used for further education. Registered nurse aspirants may enroll in an associate degree program for fulfilling future career goals. After determining the path (diploma, certificate or degree) you want to go for, find out the approved programs in your state. The educational or other requirements of schools offering credentials for LVNs may be different for every state, but a high school diploma or its equivalent is a must to take admission in any approved program. Some schools may ask aspirants to clear an entrance exam before getting registered for an LVN certificate program. Year-long programs are provided by junior colleges, community colleges, technical schools, hospitals, etc. They also provide the opportunity for supervised vocational nursing clinical experience. The coursework may consist of studies in anatomy, physiology, medical terminology, nursing care of the adult and child, nutrition, pharmacology, psychology/human growth, and development. After the completion of an LVN diploma or certificate program, candidates need to take the National Council Licensure Examination for Vocational Nurses (NCLEX-VN). This exam is administered and held by the National Council of State Boards of Nursing. 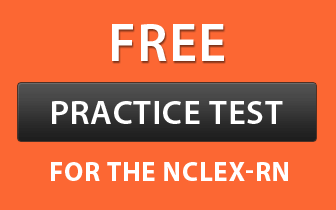 NCLEX-VN is a computer-based test, and the duration of the exam is 5 hours. Those who do not clear the test can retake it. This multiple-choice test comprises of some specific topics of nursing such as health promotion and maintenance, physiological and psychological integrity, and safe and effective care environment. If you, as an LVN, wants to distinguish yourself from others and qualify for specialized clinical roles, then you need to complete additional program or professional development courses. There are many certifications for LVNs including gerontology, pharmacology, hospice, long-term care, immunization, neonatal education, dialysis, palliative care, and IV therapy. You are ready for your first job as an LVN, after graduation and getting the license. Many programs offer support to the students and assist them in locating the jobs in their locality. Students should prepare a resume and post it on the LinkedIn or other career-oriented sites. The national licensed practical nurses have a career center on its website where LPN/LVNs can post their resume and get job offers. Besides on-campus courses, many institutes provide online vocational nursing classes. Courses offered in LVN online classes comprise pharmacology, anatomy, and medical terminology. Some of these programs may want you to complete general education for enrollment. For practical experience, students can join a healthcare facility, hospital or clinic, nearby their home. Hybrid programs may also be available online. You must have a computer with e-mail and Internet access. Your PC must fulfill the requisites outlined by the university in order to support the content management system, employed by the university. You may need some software like anti-virus, Adobe Reader, Microsoft Office, etc., to make the program run smoothly on your computer. Students with LVN degree can obtain an RN degree via LVN to RN transition program, which can take their career to the next level. After completion of this program, one can sit for the NCLEX-RN. Associate’s degree will allow you to work as an entry-level registered nurse. With this, you can also get the chance to supervise the LVNs. Duration of this program is 1 to 2 years. You can find these programs in community colleges, universities, and vocational schools. Bachelor’s degree allows you to get promotions or opportunities to get hired for higher positions. Other than this, there are chances to earn better pay. Duration of this program is 2 to 4 years. The coursework of both the programs is designed to strengthen your professional and personal skills. Vocational nurses provide basic care to the patients. They work for at least 40 hours in a week and also work in rotational shifts, weekends and holidays. While working, vocational nurses face many threats like infectious diseases, chemicals, injuries, etc. This job can be very distressing as you may need to deal with angry, unstable, confused or irritating patients. There are many areas to work as a vocational nurse. We have listed 11 fields of practice. You can choose the one you like. Pediatrics – This field of nursing care helps you specialize in assisting the sick patients in the age group of newborn to 18. Labor and Delivery – This area prepares you to take care of pregnant woman before and at the time of delivery. You also learn to help the mother after delivery and look after the infant. Neonatal – This coursework teaches you how to take care of newborns who are premature and unhealthy. Oncology – Nurses who specialize in oncology manage chemotherapy, and deal with almost all kinds of cancer. Neuro ICU – Patients who undergo brain surgery or serious head injury need special care, which is provided by the neuro ICU specialist nurses. They analyze the improvement and decline in the health of the patients. Trauma ICU – Patients who get brutal injuries and need extreme care after an accident (like road accident or building collapse) are assisted by trauma ICU specialist nurses. Burn Unit – Nurses specialized in this area care for the patients whose bodies have burned over a large percentage. Dressing, pain control and examining for sepsis are some of the tasks they are prepared for. You also learn to work in a team. Cardiac ICU – If you want to take care of the patients who undergo heart surgery in a Cardiac ICU, you can do specialization in this area. Emergency Room – Patients who suddenly get unstable due to illness or after an accident are assisted by the nurses in an emergency room. Once patients get stabilized, they are transferred to an ICU. Rehabilitation Nurse – Rehabilitation specialist nurses work with physical, occupational and speech therapists to assist the patients to regain their skills that were lost because of an injury or illness. Gerontology Nurse – Gerontology specialist nurses care for the special needs of the elderly patients. There are unlimited places available for vocational nurses to work and the most common among them are hospitals, rehabilitation centers, nursing homes, home care, medical office, and urgent care clinics and schools. As per indeed.com, the salary of license vocational nurse in Texas was $43,000 (as of Feb 25, 2016), which was 3% lower than the average LVN income for job posting across the nation. LPN LVN UP were the highest paid nurses with average annual income of $72,000. The lowest paid nurses were Vocational Nurse Cleveland, who made $19,000 per year. The pay of other nurses was between $19,000 and $72,000. As per indeed.com, licensed vocational nurse in California made $47,000 (as of Feb 25, 2016), which was 7% higher than the average LVN income for job posting across the nation. Hedis Reviewer nurses in California made the highest income, i.e., $165,000 per annum. On the other hand, with $30,000 per year, LVN LPN were the professionals who got the lowest salary. The U.S. Bureau of Labor Statistics (BLS) has projected 16% growth in the career of LVN/LPN nurses between 2014 and 2024. It is very high as compared to job opportunities for any other profession in the U.S.A. After gaining some experience and completing further studies, you can work as an RN.